We encourage you to come out and play, passion can no longer be hidden as a silent rage. Need a jolt? Perhaps run around like a four-legged Colt? baked from an oven, temperature regulated with a Raspberry Pi. Actions are cashiers, intentions are bouncing, refusing to thaw on that hard frozen lake. Solve a problem, add value, your solution must relate. For without them, we’d all be mimes, with no walls to lean. We invite you, while you’re at it create a meme, the community awaits your validated dream! How I jump started my community gumption at Hack4colorado! 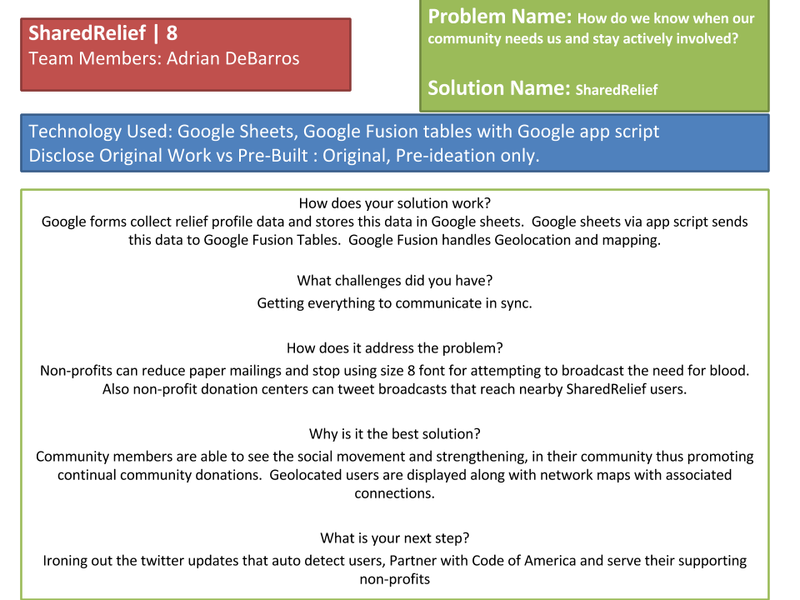 Mobile Link for SharedRelief Profile: Strengthen your community!